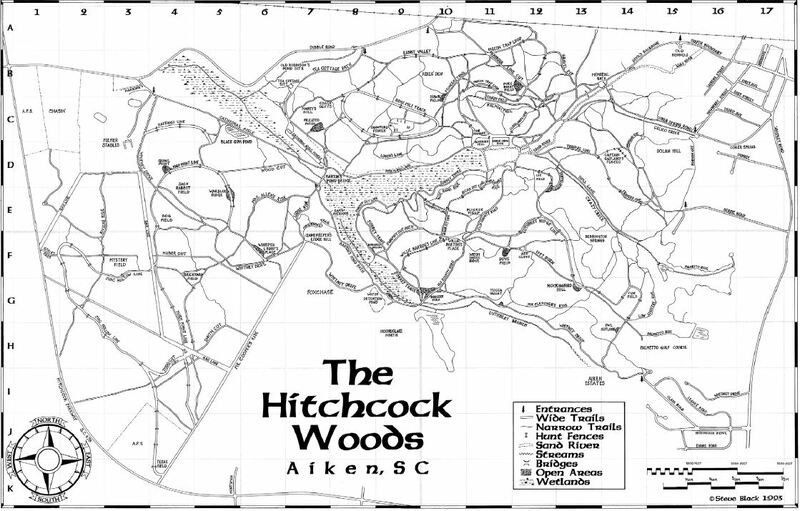 The Hitchcock Woods Foundation is a 501(c)(3) nonprofit that is solely responsible for the ecological stewardship and management of Hitchcock Woods, the largest privately owned urban forest in the country, with over 2,100 acres of forestland resources and 70 miles of sandy trails ​that provide​​ access to a stunning variety of ecosystems. Once owned and enjoyed by Louise and Thomas Hitchcock, this longleaf pine forest has retained its natural character and cultural heritage. Hitchcock Woods is open to the public, on horseback or on foot, from dawn to dusk 365 days a year. It is encouraged that you plan your trip and read the guidelines before your visit. All riders should be aware of and sensitive to the Foundation’s financial needs and are encouraged to support the Hitchcock Woods Foundation. Guidelines are on kiosks at each entrance to the Woods and on our website at www.hitchcockwoods.org. Camping and motorized vehicles are not allowed. Fees: Admission is free of charge, thanks to donor support. From US 1 in Aiken; Drive south on York Street and turn right onto South Boundary Avenue SW. Continue downhill and look for the dead-end sign. Continue down the road until the pavement ends. On the right is a sign directing you to the entrance, parking area, and the Foundation office. No horse trailers are allowed in the parking area.